The Southbank Heritage Study is finally at exhibition stage – about 2 1/2 years after we wrote to Council pointing out the many outstanding places that were somehow not heritage listed, and 8 months after the report was adopted by Council (by default, since the 5 Team Doyle Councillors had to declare a conflict of interest and so there no quorum). 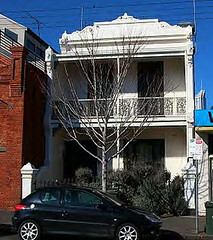 The full study (7779 pages – which includes Fishermans Bend, to be covered in a future amendment) includes a history, a comprehensive update of all existing listings as well details on 18 new places, and another 9 places contributory to a heritage precinct centred along City Road, which includes a number of two bluestone laneways. 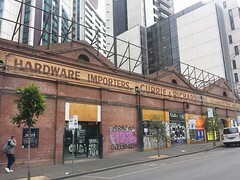 This comprehensively protects what’s left of the industrial heritage of the area now called Southbank, once one of Melbourne’s most important locations for manufacturing and warehousing, from beer production to car manufacture and servicing to hat making. It also protects a few recent landmarks such as the 1980 sculpture ‘Vault’, infamously removed from the city square. Submissions are due by the 29th June. ← Hoddle Grid Heritage Study – have your say.